I love community radio and Chicago's art scene. 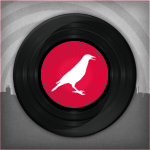 CHIRP has so much great music in rotation at any given time it is impossible to keep up! My goal is to push as many of these fresh new tunes out to our listeners at possible. By day I’m an attorney who works with freelancers and artists. Chicago is a great place to live and work and I couldn't imagine doing my things anywhere else!